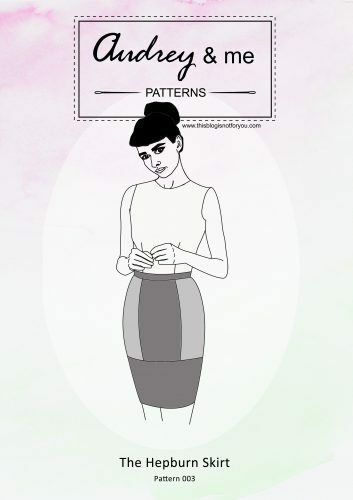 As you know, I released my Hepburn Dress pattern in August and have been working on all the different variations since then. At the moment I somehow sew more than I can photograph or write about (living the dream, guys!) and I really need to work on maintaining a better equilibrium. Otherwise things like posting pictures of summer dresses on October will keep happening. Adjustments: shortened skirt, scooped neck variation, bodice graded up half a size. Anyhow, as you can see, I’m pretty happy with this dress. I have to admit though, that some things didn’t go as I wanted. First of all, let’s talk about the bodice. I made the scooped neck variation, which has a slightly lower neckline in front and back. 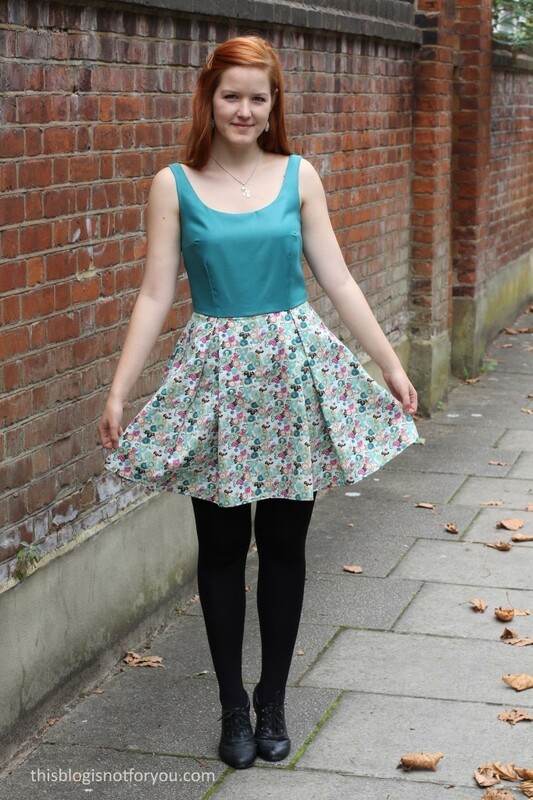 It’s a bit more summery than the other two variations, which have a high neckline (pleats are optional). My first Hepburn Dress was a bit tight around the bust, so I graded up half a size for my second one which was a perfect fit. The peachskin polyester didn’t have much give so adding half a size to the bodice was a good idea. For this dress I used a very soft 100% cotton for the bodice which I also used for the bodice lining. It is slightly stretchy and therefore, has quite a bit of give. With my extra half a size and the soft cotton the bodice now is a bit loose after a couple of wears. It not too bad, it looks much worse in the pictures, but I will have to grade down to my normal size when using a similar fabric next time. I won’t be wearing the dress too often now, but unless I gain weight over Christmas I will take it in before next summer. What do you think about the proportions? 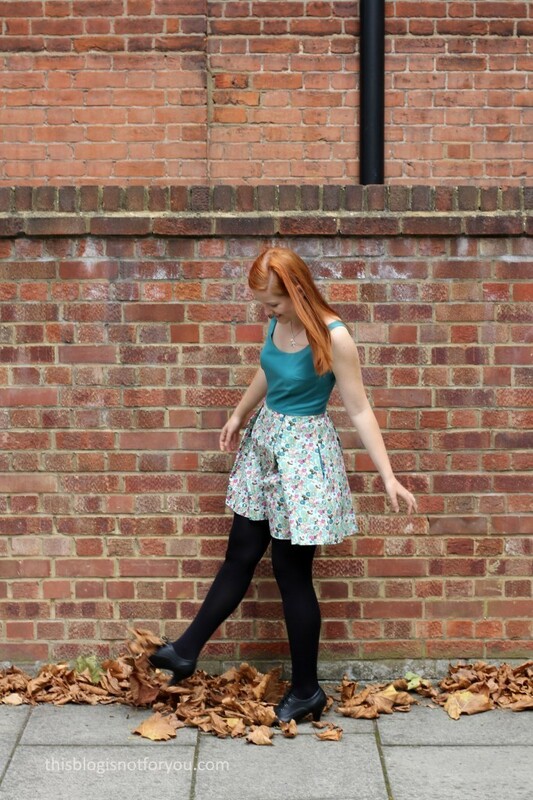 The original Hepburn skirt is much longer and I think this one got a bit too short for my taste. It’s sort of a babydoll dress length and I’m not sure, but I might be too old for that. I normally like my skirts to end at or just above the knee if they’re fuller (fitted ones are allowed to be thigh high). So why did I make the skirt that short then? Guess what, I was stupid enough to buy too little fabric. And since I actually made the pattern and wrote the instructions and should know about these things, you can consider it very stupid. For some reason I thought 1m would be enough (it’s got box pleats, silly one!) and bought 1m of each fabric. 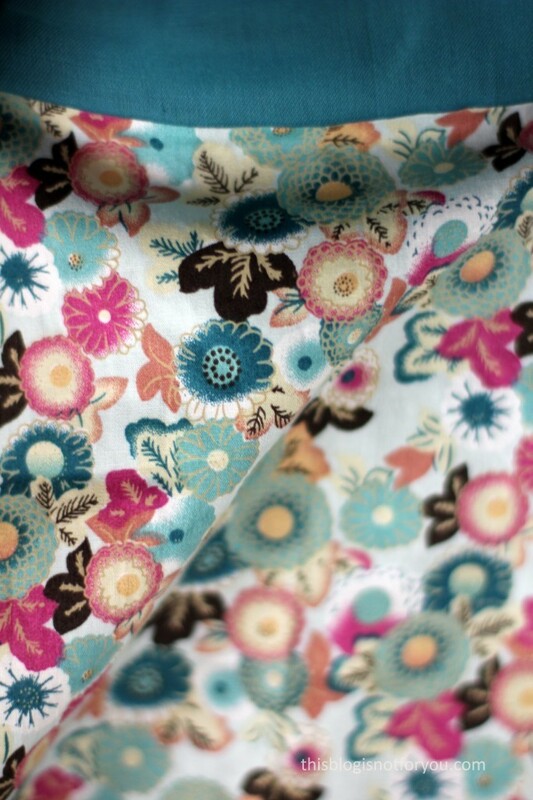 So I bought 1m each of a turquoise 100% cotton fabric and a beautiful cotton wax print (£3.95/m on Goldhawk Road). 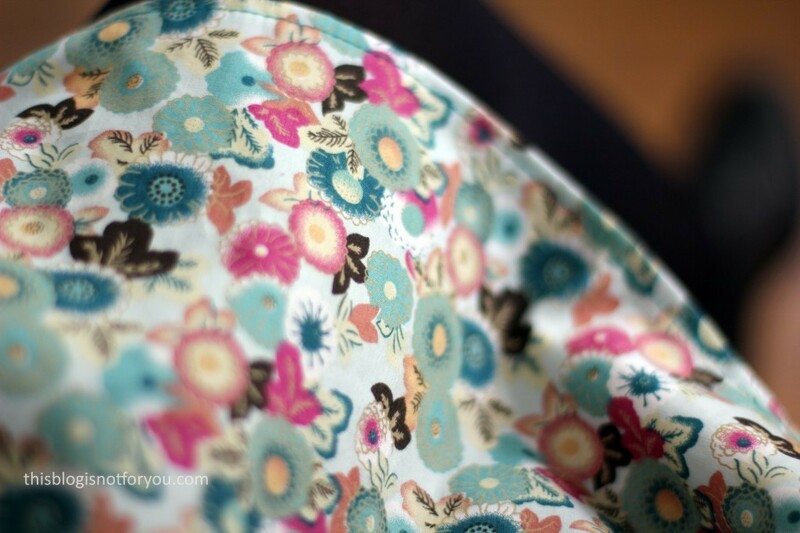 Both fabrics are gorgeous and were easy to cut and sew with. In order to fit the skirt pattern on the wax print cotton I had to shorten the hem quite a bit. 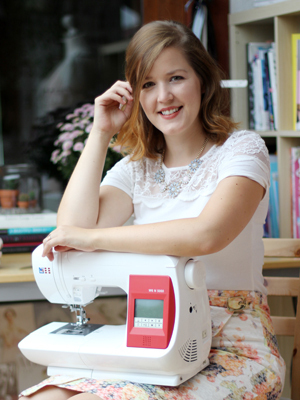 That’s also why I decided to skip my beloved hadnstitching and went with a narrow machine stitched hem instead. Due to the softness of the bodice fabric the top bit of the zip is also a bit wonky. It’s probably just too heavy for the lightweight cotton and it stretched out a bit even though I understitched the whole neckline. Did I mention this dress has pockets? 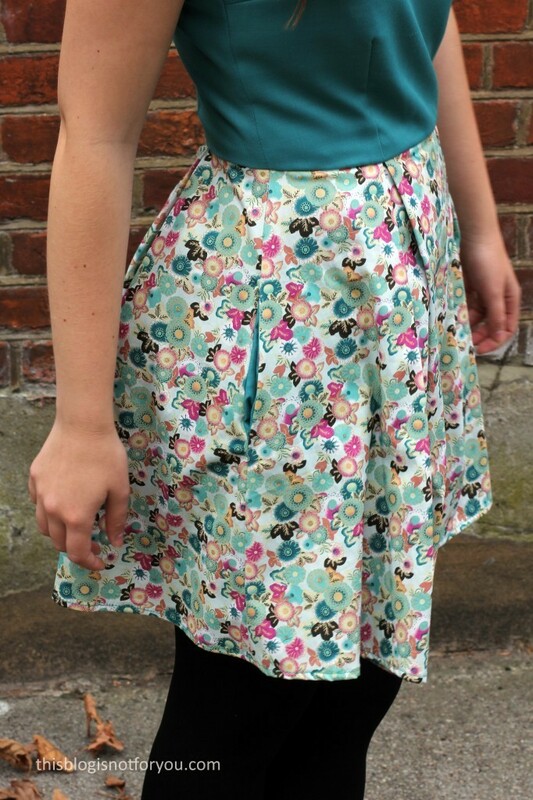 I love me some pockets, I think every dress should have them! 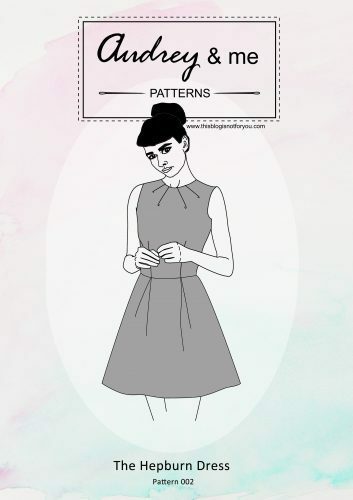 I will add a tutorial on how to add pockets to your Hepburn Dress soon! 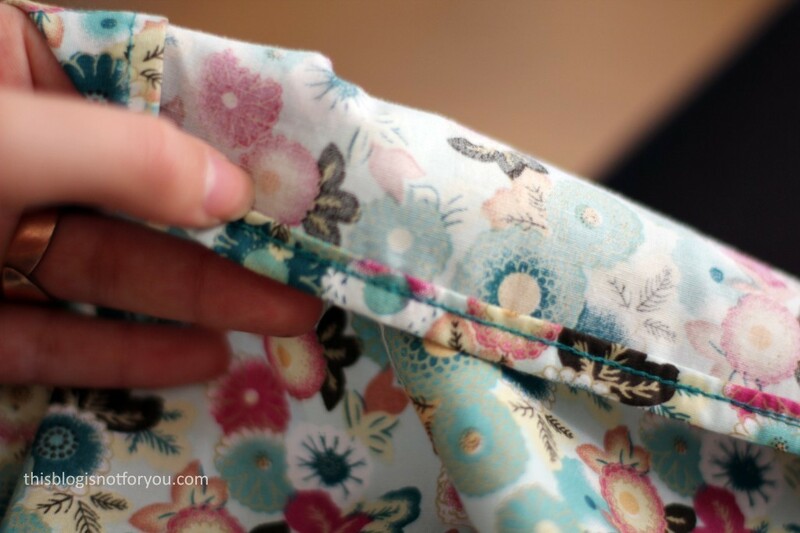 I lined the pockets with my bodice fabric for an extra pop of colour. Some people have problems with scooped necklines and narrow straps like the ones on this dress, as sometimes the straps slide down the shoulder. This often happens when you have sloping shoulders. The pattern includes instructions on how to add lingerie strap guards which basically solve this problem. As long as you attach them to a goodfitting bra, the straps won’t go anywhere and the bra straps won’t peek through. It’s a win-win! As the skirt is 100% cotton and I don’t like lining my dress skirts (reducing fabric expenses and, of course, being lazy), I really need to sew a slip to wear underneath. 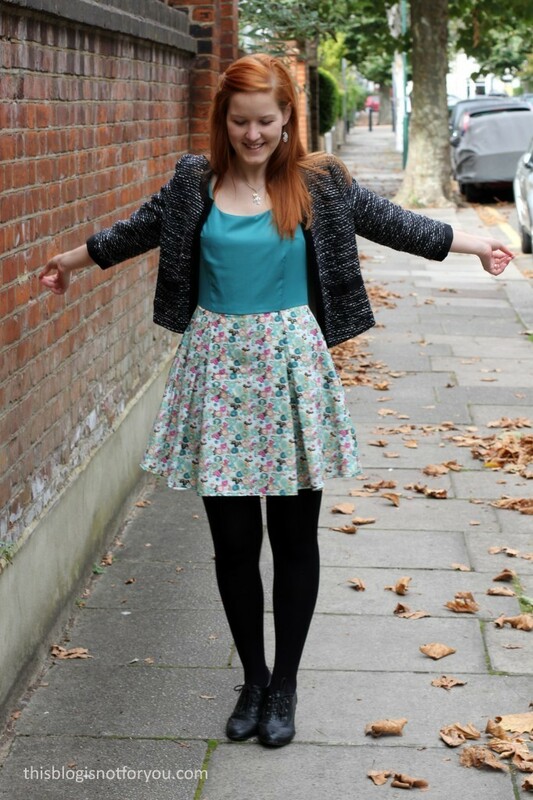 Worn with tights, the skirt clings to my legs and rides up when I walk. I have to really nice satin polyester which I want to use for that. I’m thinking about just cutting out a rectangle and gathering it with an elastic on top. This should be enough for a little slip to wear underneath cotton dresses. At the moment I still wear the dress with a little Chanel-style jacket. I need to find a high-waisted cardigan! All the ones I have are too long and look silly with my dresses. 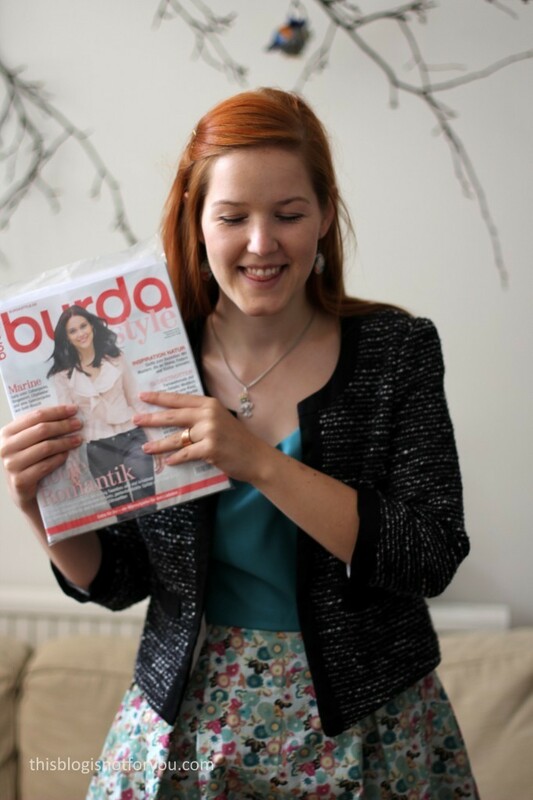 And guess what was in the post when we came home from taking pictures? (Almost) nothing’s better than being inside on a cold autumnal afternoon with a cup of coffee and a sewing magazine. I have only 3 nightshifts left before going back home to Germany for a couple of days! I probably won’t get any sewing done, because I will be sleeping any free minute for the next days, but hopefully I can catch up one posting some of my makes when I’m home. 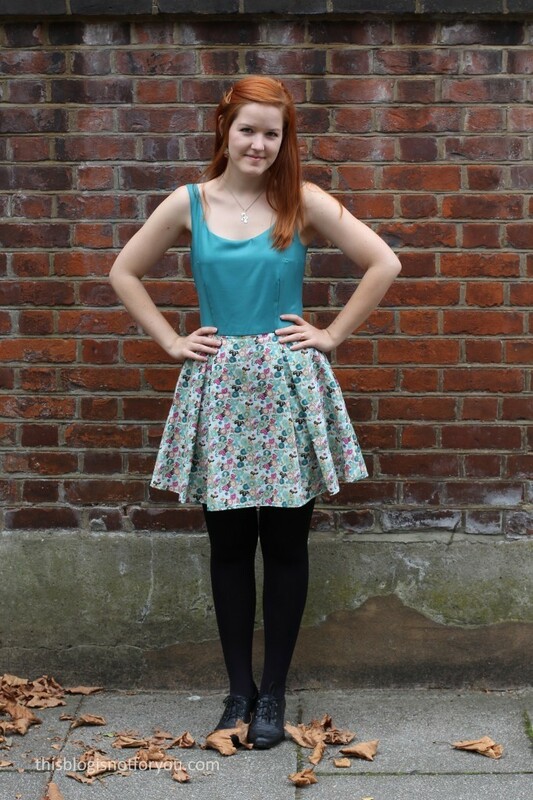 What a lovely combination for the bodice and the skirt – it really suits you. Certainly not too short – thick tights were designed to be worn with short skirts and dresses. The road becomes famous sometime. And the photographer did a good job. That’s so beautiful on you! The blue with your red hair, too! As a small-chested girl I maintain the right to show as much as of the flat expanse below my collarbone as I want, so I LOVE a deep scoop. And bra strap keepers – THE BEST. Until the part where I forget I’m using them and get trapped on the way out of a dress. Worth it! All content by This Blog Is Not For You is licensed under a CC BY-NC-ND 4.0. Additionally, please do not use more than one image without permission.